ECCO’s ground breaking Sculptured Comfort Technology makes it possible to create a high heel shoe with an anatomical last, a very soft, comfortable sole and a soft, flexible heel. The Sculptured collection embodies ECCO's core strengths, namely a combination of modern style and innovative comfort technology. This achievement is possible due to ECCO's ability to use lightweight, flexible, anatomical DIP (Direct Injection Production) within a sleek, minimalistic and fashionable design. The ECCO Sculptured collection is also reflected in a stylish range of complimentary bags and clutches. 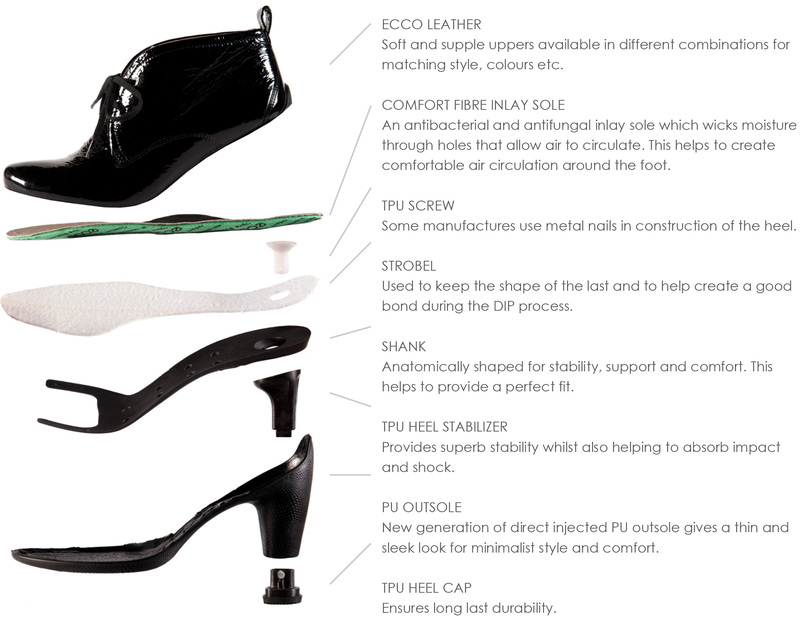 A unique breakthrough in the direct injected heel, which gives superb shock absorption and comfort. The unique fit holds in the foot from heel to instep and gives your toes and forefoot room to move naturally. The natural breathable lining that makes Sculptured feel like an extension of your foot. The minimalistic look contributing to the sleek modern style without compromising comfort. All the benefits of PU: Durability - Flexibility - Memory - Dynamic return energy.